The Tab field is used to group together fields into tabbed sections. 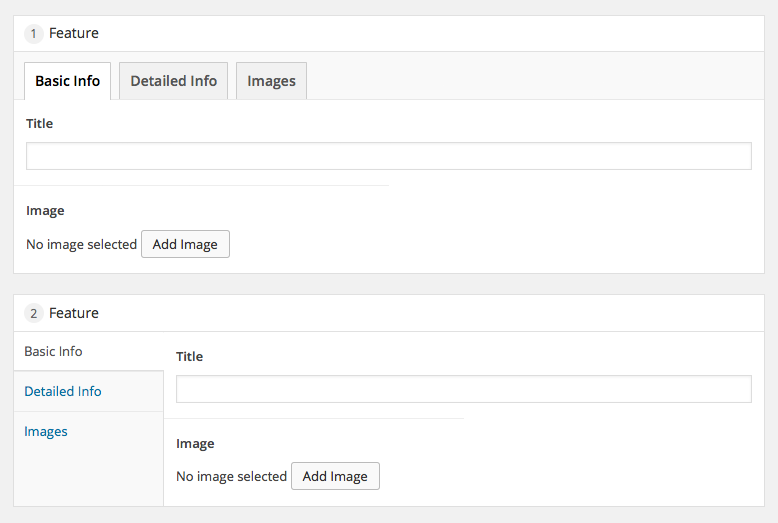 This helps tidy up the UI by reducing the need to scroll through fields. When creating a “tab field” it is important to note all fields following the “tab field” (or until another “tab field” is defined) will be grouped together using the “tab field” label as the tab heading. Conditional logic settings can be applied to a tab field. 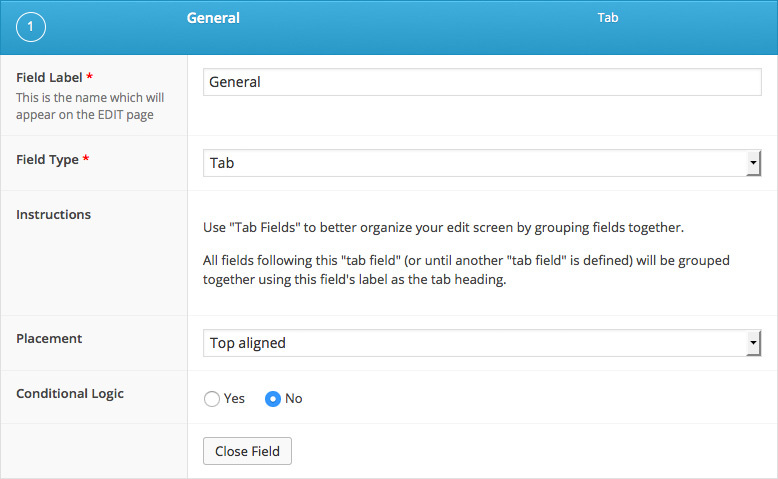 The tab field will also hide/show the fields which it visually controls.